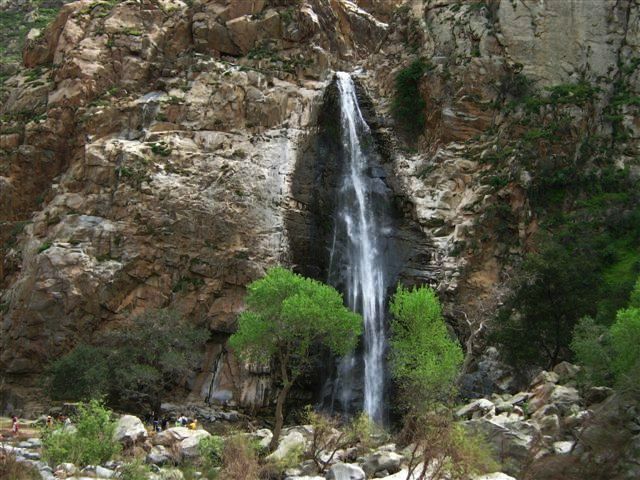 A waterfall located on the outskirts of the Guadalupe Valley in Mexico, a noted wine making region just outside of Ensenada. The falls pour into Agua Caliente Canyon, so named, officially or unofficially I’m not sure, for the natural hot springs just upstream. There is an old rancher by the name of Federico that owns the property through which you pass to reach the waterfall and hot springs and he charges a toll to open his gate. He handcrafts his own fresh cheese that he offers tasters of and sells to passersby. This entry was posted in Mexico and tagged Backpacking, Camping, Guadalupe Valley, Hiking, Hiking (2), Nature, Photos, Pics, Travel, Valle de Guadalupe, waterfalls. Bookmark the permalink. Looks really beautiful – did you taste/buy the cheese? No, I didn’t try his cheese. It’s a dry, white, mild and firm cheese that is commonly made in Mexico, which I’ve had before when down there, and it is good to eat just wrapped in a tortilla.